Balance your skin with Vata massage oil. 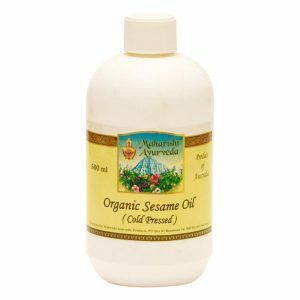 This blend of refined sesame oil with precious Ayurvedic herbs is best on Normal to Dry Skin. 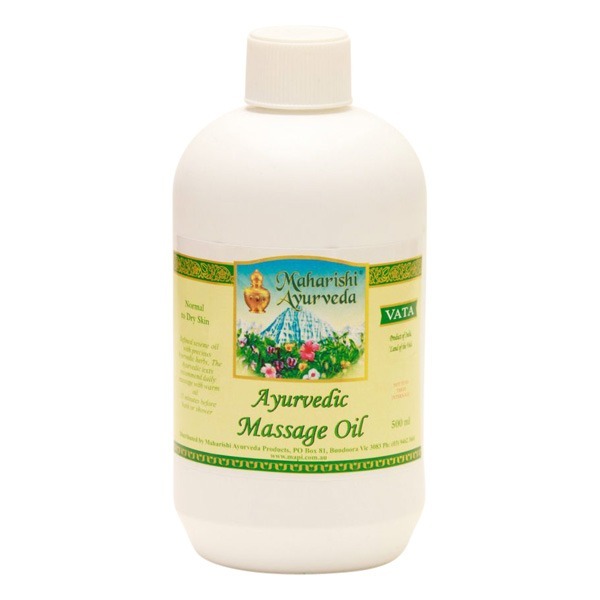 Vata massage oils incorporate potent Ayurvedic herbal extracts to take the benefits of the traditional daily massage a step further. 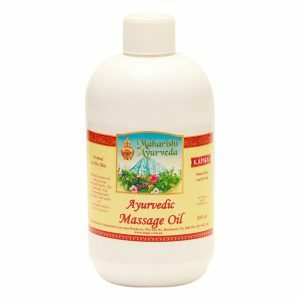 Daily morning Ayurvedic oil massage called Abhyanga is one of the most powerful regimens that we can add to our daily routine. 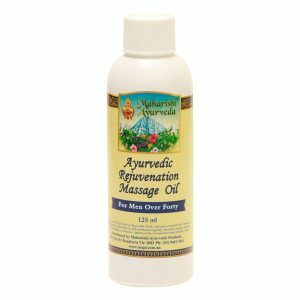 A full body, warm oil massage before showering has a powerful preventative and rejuvenating effect which assists the body to reconnect the physiology with its underlying biological intelligence. The motion and pressure of the massage create heat and friction and help to loosen up impurities, improve circulation and enliven the body. Oil massage is especially good for removing imbalance, increasing the secretion of hormones from the skin and has many benefits as well by preventing the skin from becoming dry, which maintains the suppleness and youthfulness of the skin. 2019 © Maharishi Ayurveda Products Pty Ltd. All rights reserved. 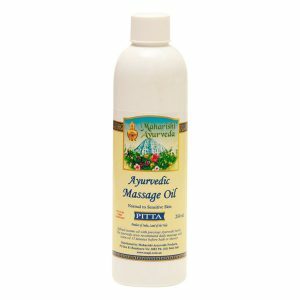 Maharishi Ayurveda Products Pty. Ltd.
is an authorised user in Australia of the trade marks Maharishi® and Maharishi Ayurveda® by MGANL Ltd.